A series best known for bouncy breasts and scantily clad female characters, Dead or Alive typically attracts more attention for its art style than its action. And that’s a shame, because beneath the skimpy costumes (ahem) Dead or Alive is a solid franchise with surprising depth. Dead or Alive 6 ever so slightly tones down the sexuality, without losing everything else we love about the series. Fans can expect the usual cast of colourful characters; a host of sumptuous stages; silky, smooth animations and bags of silliness. I mean, where else would you see a fight between a DJ and ninja interrupted by an angry pterodactyl? Complementing the over-the-top characters and interactive stages is a combat system that’s solid to the core. Dead or Alive 6 features the now customary rock-paper-scissors fighting system, where punches and kicks can be countered by parrying, which in turn can be overridden using throws etc. There’s also a brand new Break Gauge, which builds up during fights and gives players simple, one-button access to jazzy combos and flashy specials, not to mention life-saving counters. It’s a system that’s straightforward enough for new players to pick up and enjoy, but with enough depth that seasoned pros will always find a way to come out on top. You can put your skills to the test in a plethora of online and offline game modes, including a surprisingly entertaining story mode that’s just the right kind of cheesy. It’s just a shame the presentation is all over the place, leading to a slightly stilted and messy experience. Unfortunately, however, you can’t talk about Dead or Alive 6 without mentioning that season pass. Season Pass 1 – so presumably we can expect more – will cost you a whopping £73.99. That’s nearly £75 for two new characters and a bunch of costumes! It doesn’t detract from an otherwise solid fighting game, but it does leave a sour taste. When you’re not unlocking costumes with cash – and lots of it – you’ll have to put up with the game’s incredibly grindy and irritating unlock system. The good news is that you can unlock new costumes by playing through single-player game modes, including the excellent DOA Quest. 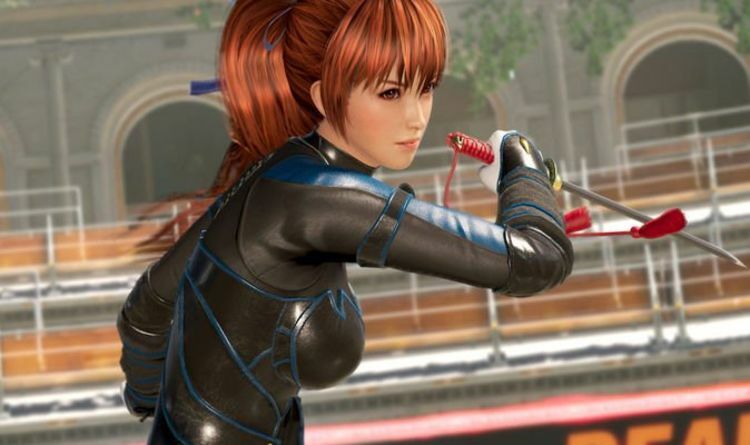 DOA Quest provides players with the perfect platform to learn the finer points of Dead or Alive 6’s combat system. Kind of like an incentivised tutorial mode, it tasks players with completing challenges with different characters, be it stringing together combos, performing ground attacks or executing throws. You’re rewarded for your efforts with costume points for new outfits. The bad news is that the costumes you unlock are completely random, and leftover points don’t carry over to new and more expensive rewards. Annoying isn’t the word. If you can look past the season pass fiasco, the iffy unlock system and the messy narrative, Dead or Alive 6 is an exciting brawler with more flair than a hair metal band. It doesn’t quite reach the heights of a Soul Calibur 6 or Tekken 7, but if you’re a fan of fighting games, Dead or Alive 6 is definitely worth your time.